Social media marketing has become something where Facebook, Twitter and Instagram etc. are the main platforms. Because of this, things like email marketing is flying under the radar. People check their emails daily, sometimes hourly, getting into their inboxes will help build traffic to your website, your blogs and your other platforms. How do you get started? What should you do to make sure you’re up and running with email marketing and making sure your campaigns are as effective as you need them to be? It’s tempting to sign up for an email marketing tool like MailChimp and start sending your first campaign. But before jumping in head first, it’s worth taking a minute to think about your goals and what you really want to achieve with those emails. The key to setting the right goals for your email marketing campaign is to keep them up to date with your company’s marketing goals. Now that you have established your goals and what you want to achieve from email marketing, it’s time to build your email list so you can start sending campaigns that those goals. There are a couple of different ways you can build your email list, but the right method for each campaign really depends on the goals you establish. 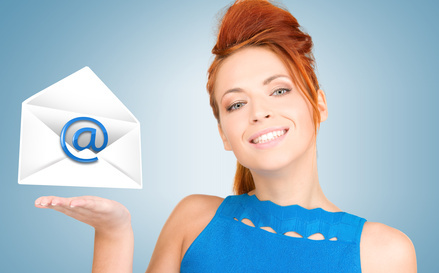 There are many different types of email campaigns that you can send to subscribers. The type you choose really depends on the goals you established in Step 1. If your goal is to keep in touch with a list of people you already know (i.e. existing customers), then a newsletter is perfect. An offer email is effective if your goal with email is to directly drive sales. An announcement email is great if you want to keep an engaged audience up-to-date on your latest products or features. Now that you’ve decided on your goals, built an audience and selected the type of campaign you’re going to send, it’s time to start building your email. Build your campaign for easy reading. An adult’s attention span, on average, is eight seconds. With such a short attention span, you know people aren’t closely reading your emails word for word and are instead skimming through them looking for something of interest. So, writing long emails isn’t the best approach. You need to build emails that grab your reader’s attention. Get them into reading your content while guiding them toward the email’s call to action. With your first email getting opens and clicks by your subscribers, you’ll be able to start tracking! Once you’ve spent some time analyzing how people interacted with your email campaign, you can take it a step further and look at what happened after they clicked through to your website. If you do, then you’ll be able to see details of any visits to your website from your email campaigns, including how long they spent on your site, what pages they visited, what campaigns they’re coming from and more. Email marketing can be a powerful driver of sales & revenue for your business, and has a greater reach and return on investment than any other channel available to marketers today. If you follow these 5 steps, you’ll find that it’s fairly simple to create and send an email campaign, and it’ll bring amazing results for your business.